Meet Hilda: explorer, adventurer, avid sketchbook-keeper and friend to every creature in the valley! Hilda and her mum have settled into their new home in the city of Trolberg, and our heroine is trying to fit into this new and very different way of life. 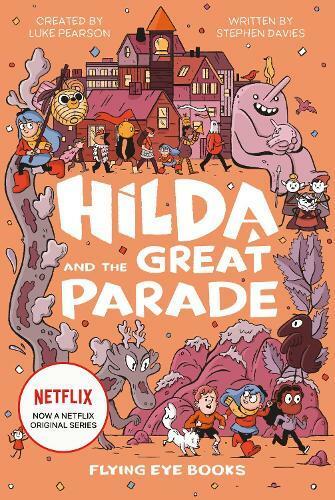 Though she’s made a new friend, the city is vast and unfamiliar, and as night falls, both Hilda and her mum are lost in the bustling Bird Parade, desperate to reunite! Will this concrete labyrinth ever feel quite like home?